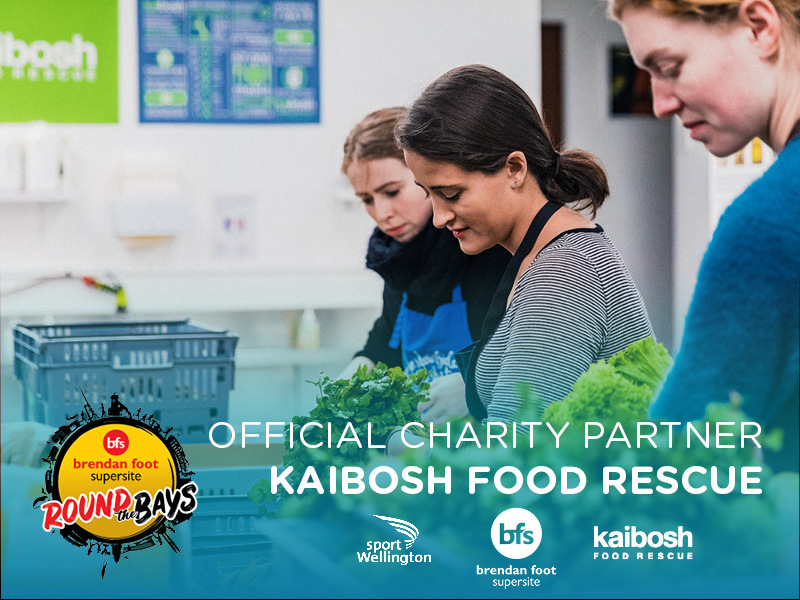 Kaibosh – Official charity partner for Brendon Foot Supersite Round the Bays 2019! We have partnered with Brendon Foot Supersite and Sport Wellington as the official charity recipient for Round the Bays 2019. $1 from every registration fee is donated to Kaibosh, enabling us to deliver our food rescue and redistribution service which is helping Wellingtons who are facing food insecurity. Each month Kaibosh rescues up to 25,000kg of quality service food and redistributes it to 65 different community groups which assist families and people in our community who are facing food insecurity. By participating in Brendon Foot Supersite Round the Bays 2019 you are helping to reduce food poverty and food waste in Greater Wellington. We’re entering a Kaibosh mega-team into Round the Bays and you can be part of it! You can run or walk the event and enter in any of the distances – 6.5km, 10km or half marathon (21km). Not yet registered for Round the Bays? Register through the Round the Bays website. On the second page of the registration process select ‘Kaibosh Food Rescue’ in the ‘Join a team’ field. We’ll get in touch with more details! Get in touch and we’ll add you to the Kaibosh mega-team! We’d love your support by volunteering with us in the lead up to the event and on the day! Find out more about the different ways you can volunteer. Get your workmates together and run/walk Round the Bays 2019 to fight food poverty and food waste! Register your team on the Round the Bays website. Provide your details to let us know that your team will be taking part in the event for Kaibosh. Set up a Givealittle fundraiser page for your team to raise money for Kaibosh. Share with your friends, family and workmates, asking them to support your team’s run/walk for Kaibosh! Every $1 makes a difference. $20 provides 28 meals worth of healthy food to local people in need. Set up a Givealittle fundraiser page and get your friends, family and colleagues to support you as you run/walk for Kaibosh! Help reduce food poverty and food waste in Greater Wellington by donating to Kaibosh. $20 can provide 28 meals worth of healthy food to those who need it most.